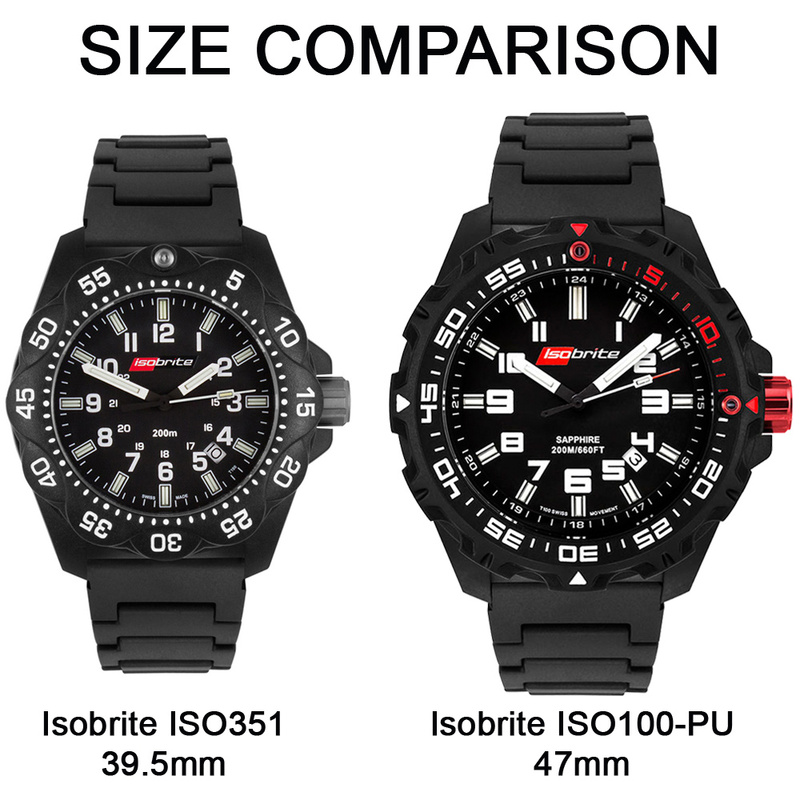 At 39.5mm in diameter, the Swiss Made Isobrite Valor Series ISO351 mid-size watch is the smallest model we’ve ever made with the ultra bright T100 tritium markers. 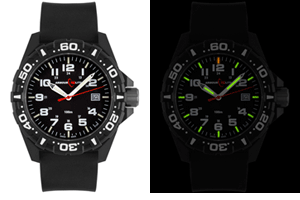 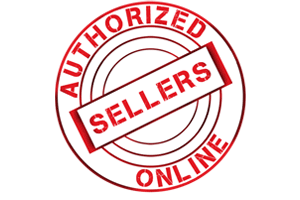 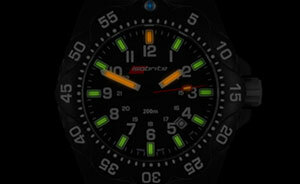 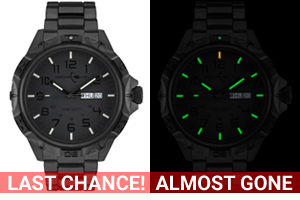 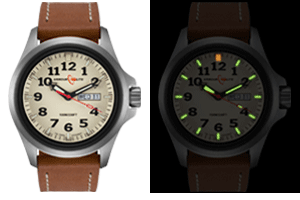 The Swiss tritium markers will glow for up to 50 years. 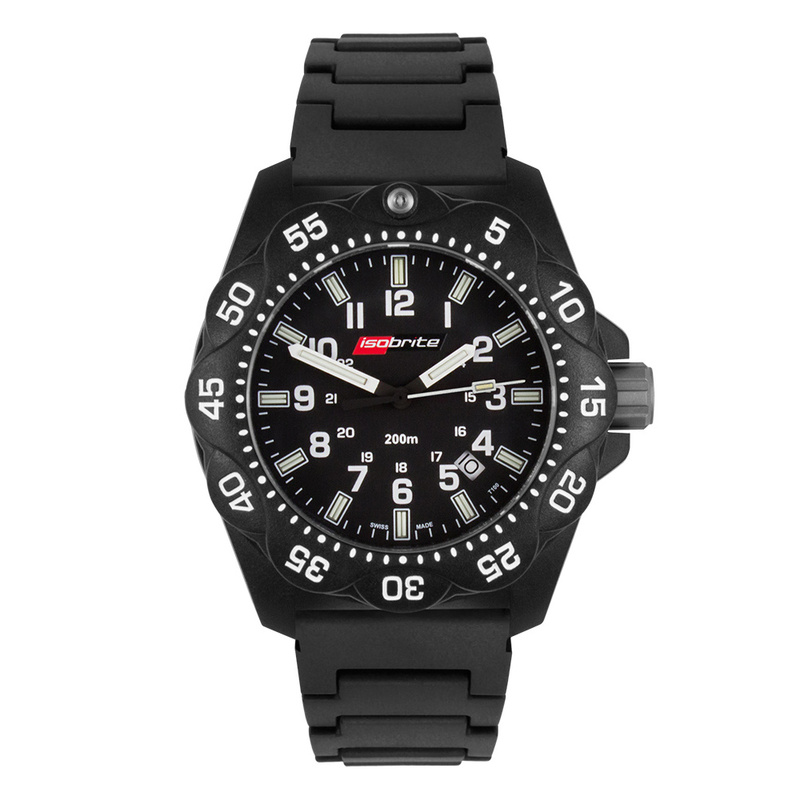 To ensure uninterrupted service, the watch is powered by a reliable Swiss Ronda 505 quartz movement. 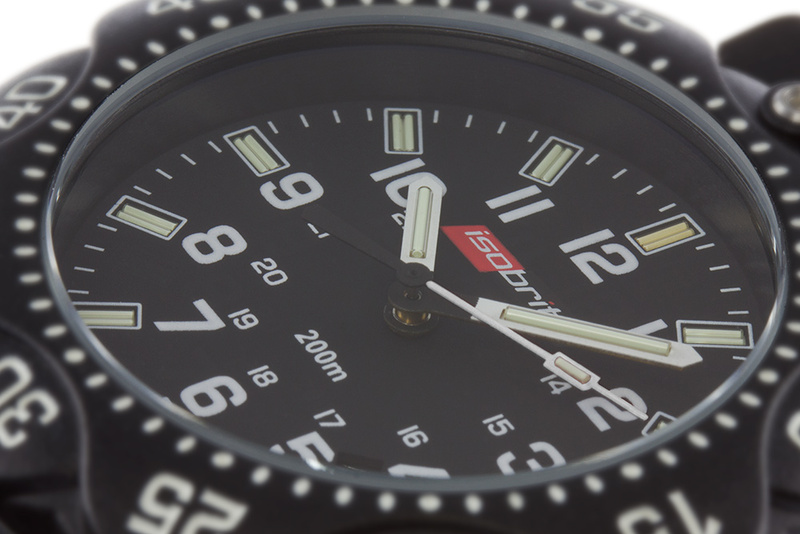 When your adventure involves water, this watch is ready to accompany you diving down to 200 meters. 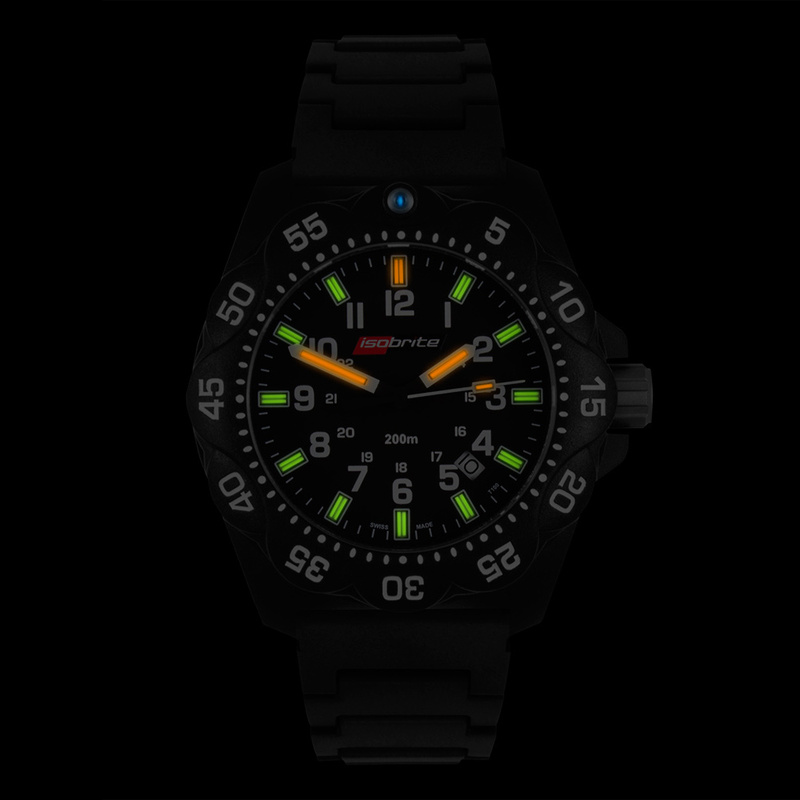 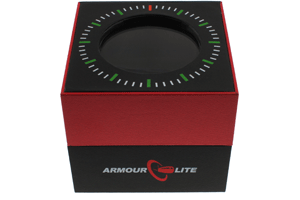 Constructed out of lightweight carbon fiber reinforced polycarbonate and scratch resistant sapphire crystal, the watch weighs in at under 3 ounces. 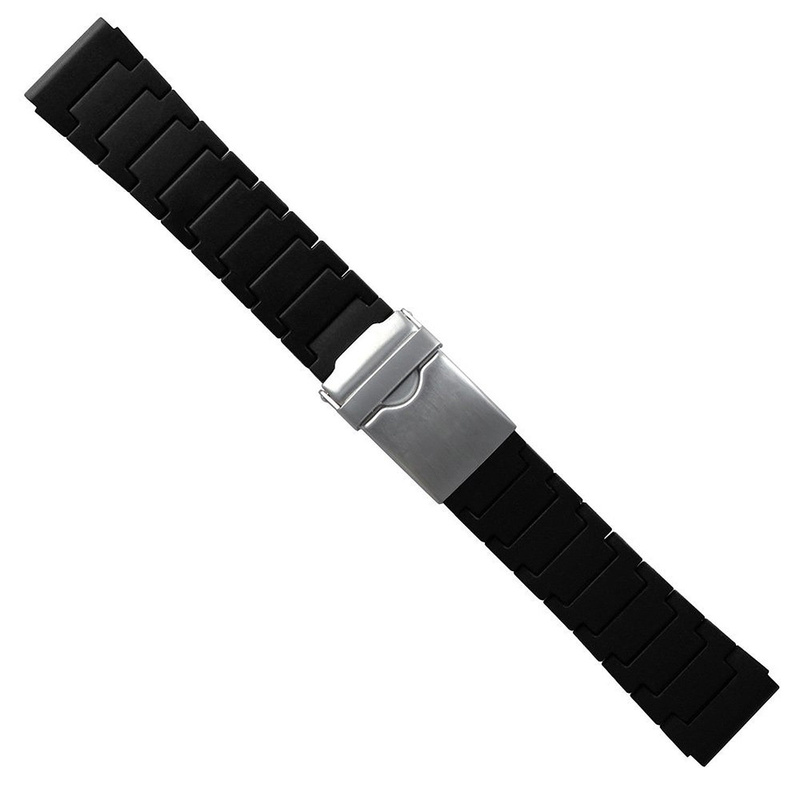 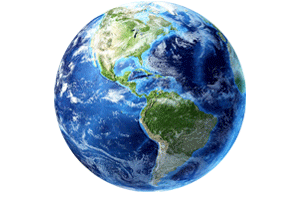 Plus, the included 20mm polyurethane strap provides the utmost in comfort and adaptability.